While our campuses have seemed a bit quieter the last couple of months with many of our students away on break, KCU has remained quite busy this summer in both Kansas City and Joplin. And, here we are in August, off to a bustling start with the 2018-2019 academic year. This past month, we were proud to welcome an incoming class of 572 new students to our combined KCU College of Osteopathic Medicine, Kansas City and Joplin campuses, and College of Biosciences. This is the largest incoming class in KCU’s history — a testament to our continued growth as a comprehensive health sciences university. Highlights of our orientation activities follow. Construction work on our Center for Medical Education Innovation (CMEI) on the Kansas City campus is progressing at a rapid pace since our groundbreaking June 6. Slated for completion in December 2019, the state-of-the-art CMEI will usher in a new era of training for our osteopathic medical students and area partners in the health professions — further demonstrating our commitment to excellence in education through innovation and improving the well-being of the communities we serve. Monitor construction progress through our time-lapsed video and take 360-degree virtual tours of of the finished interior. Homecoming is just a little over two weeks away! This annual event is a great opportunity to reconnect with classmates and colleagues, celebrate KCU traditions, and take advantage of the Continuing Medical Education hours available free to KCU alumni through our Update in Medicine. When we graduate new health professions programs, such as Clinical Psychology, we will provide the same benefit to those alums as well. Read more about the Sept. 13 – 15 event, get our Homecoming app and download our brochure. Celebration and camaraderie prevailed during orientation as the newest classes of KCU’s College of Osteopathic Medicine (COM) and College of Biosciences (COB) began the next chapter in their careers in the health professions. 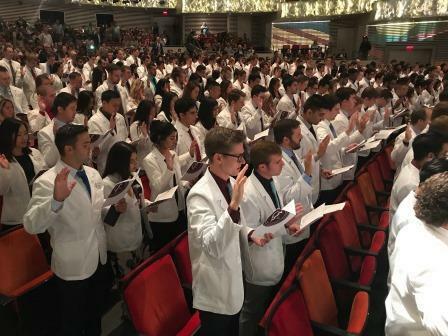 COM students received the physician’s symbolic white coat during traditional ceremonies that capped off their orientation activities, offering a reminder of the responsibilities and honor of the profession. Hundreds of friends and family members attended the ceremonies, which were live-streamed via YouTube from our respective Kansas City and Joplin campuses. Read more about our Kansas City and Joplin ceremonies. See our KC video and Joplin photos. COB students’ orientation activities culminated in a pinning ceremony, which welcomed a total of 140 students into the College’s 1- and 2-year biomedical sciences programs and 5-year clinical psychology program — the largest cohort in the college’s history. See our photos and video. On WE CARE Day, a longstanding tradition of widespread community service, KCU COM and COB students, faculty and staff served local partners through acts of volunteerism, ranging from packaging food and medical supplies, to cleaning, landscaping and working with inner-city youth on a variety of summertime projects. 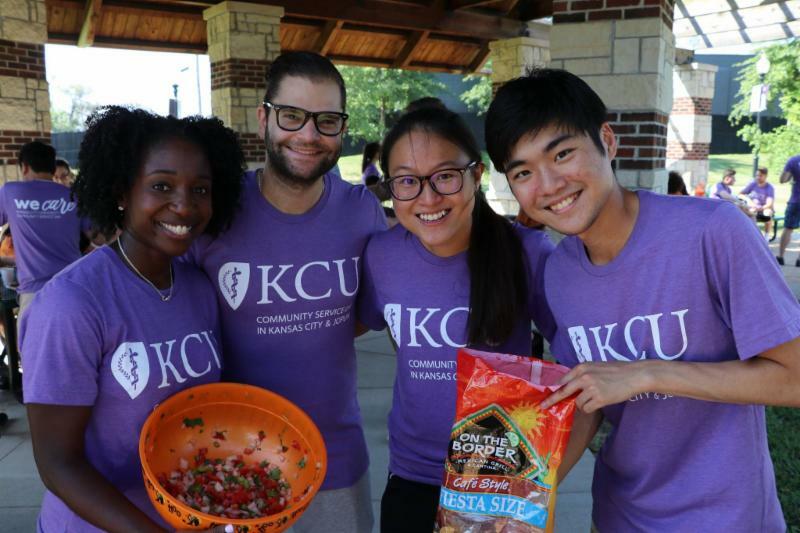 This year, 525 KCU volunteers from the Kansas City and Joplin campuses worked with 30 community partners providing over 1,500 volunteer hours. See some of our photos. Read about our efforts in AACOM's coverage. 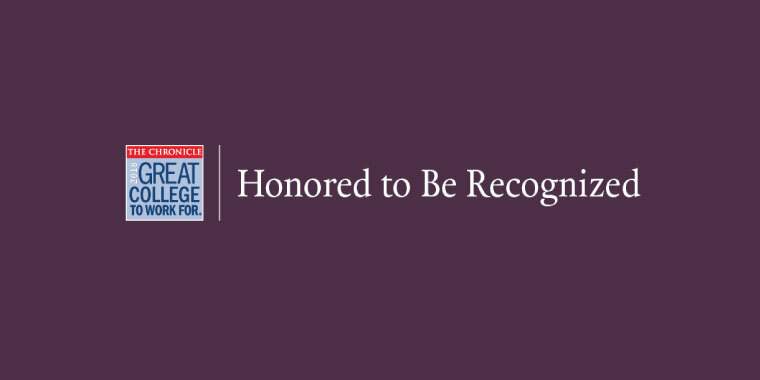 The Chronicle of Higher Education recently recognized KCU as one of the country’s “Great Colleges to Work For.” KCU is among the top ten highest scoring institutions in two categories: Compensation & Benefits; and Facilities, Workspace & Security. A respected national source of news, information and jobs for college and university faculty members and administrators, The Chronicle offers a prestigious third-party endorsement of our university as a leading employer in the field. Results were drawn from 53,000 respondents at 253 two- and four-year institutions. Read more. William Mayo, DO (COM ’81), was inaugurated as the 122nd president of the American Osteopathic Association (AOA) during the AOA House of Delegates annual business meeting July 20-22 in Chicago. Dr. Mayo is among 15 KCU alums who have held the respected position of AOA president and is one of three from the Class of 1981. The other two are Karen Nichols, DO, who was elected in 2010, and Robert Juhasz, DO, who was elected in 2014. I was pleased to honor Dr. Mayo during the ceremony with a proclamation from KCU. 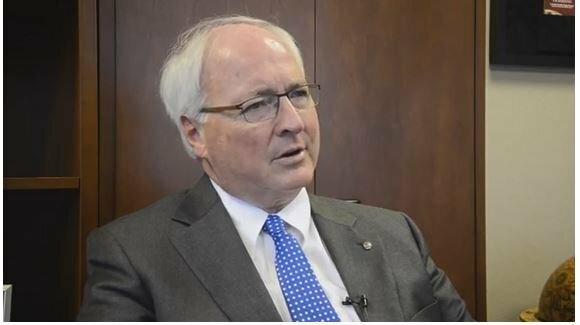 Read about his perspective on the future of osteopathic medicine and key areas he’ll focus on during his tenure in The DO. We congratulate Dr. Mayo on this important leadership role for the profession. 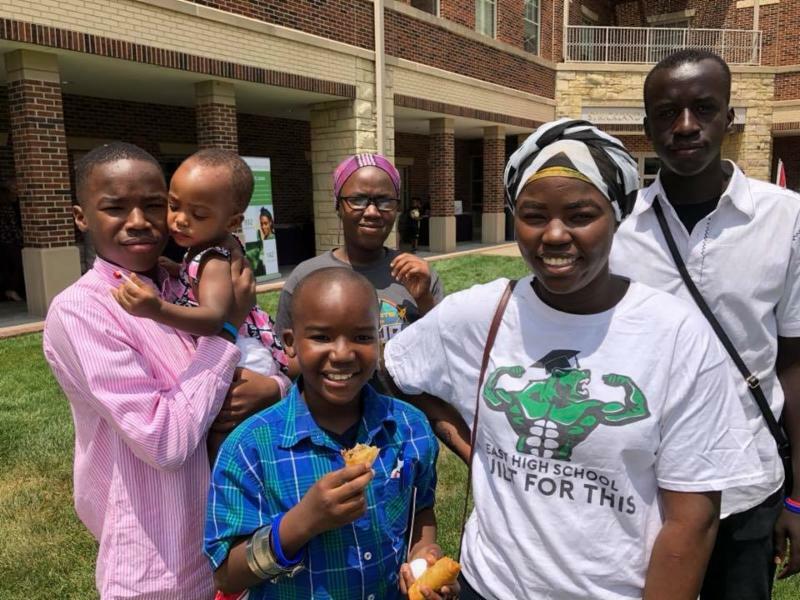 Food, music, dance and an exchange of information highlighted Kansas City’s World Refugee Day, sponsored by Jewish Vocational Service and held on KCU's campus June 23. Kansas City Mayor Sly James and other local dignitaries were present at the event, which gathered nearly 500 attendees, including hundreds of refugees from more than a dozen countries. The international celebration, founded by the United Nations in 2000 and recognized each June, honors the courage, strength and determination of women, men and children who are forced to flee their homeland under the threat of persecution, conflict and violence. Nathan Hall, DO (COM ‘10), is an outstanding example of caring and compassion. 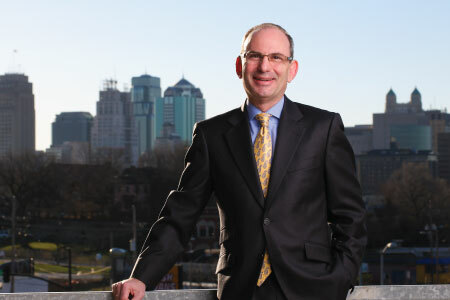 He not only supports KCU through his involvement as a member of the board of trustees and secretary on the KCU Alumni Association Board of Directors, he also demonstrates his capacity for patient care as a pediatric hematologist-oncologist. 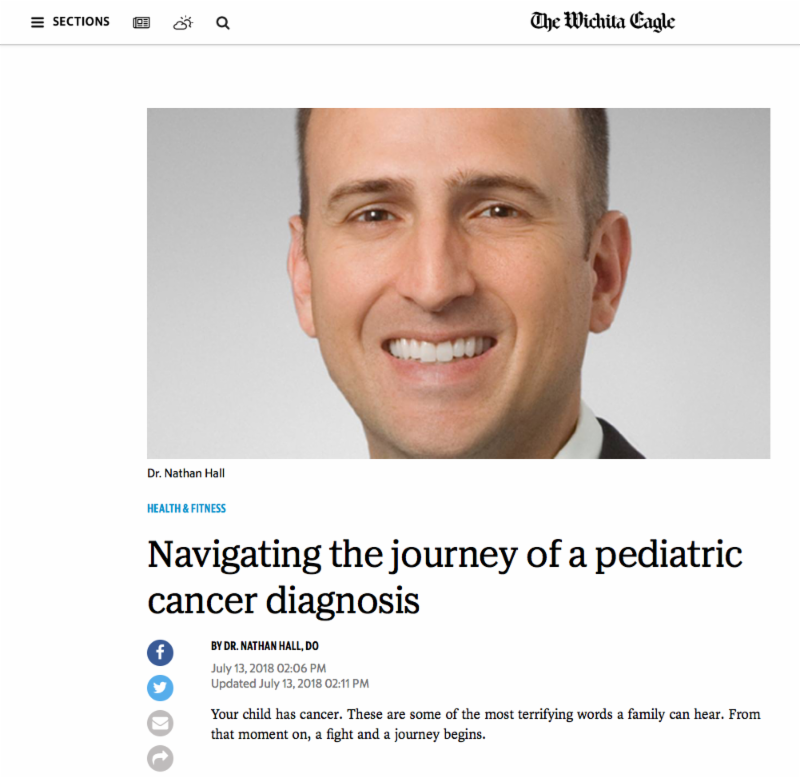 The Wichita Eagle recently published an insightful article authored by Dr. Hall on navigating a pediatric cancer diagnosis. 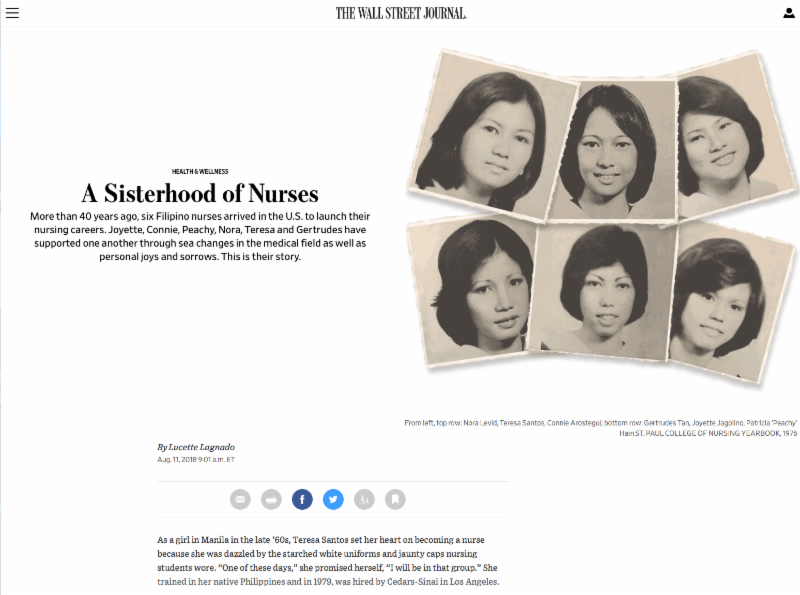 Six Filipino nurses, who came to the U.S.more than 40 years ago, were first placed with KCU upon their arrival to begin their nursing careers. The Wall Street Journal highlights their personal plight, professional success and the close friendships they've enjoyed throughout the years. View the story via the reporter's Aug. 11 Twitter feed. KCU Research Symposium is "A Day of Discovery"